All fixed, fast-frozen relations… are swept away, all new-formed ones become antiquated before they can ossify. I grant you the writings of Marx and Engels are a funny place to start a review of my favourite tracks of the month. But once again there has been a rash of books and articles proclaiming we live in a post-capitalist world, one where the working class in Britain is in terminal decline. Of course there have been real and profound changes in Britain. Manufacturing and heavy industries has been replaced by service sector and white-collar jobs. Flat caps have been replaced by the baseball variety and staffies have replaced whippets and greyhounds as the dog of choice. As Marx and Engels point out, where we work and how we work is constantly changing, but I would argue that the basic class relationships remain. The musical tracks I have selected this month are not political tracts. The artists do not set out with the conscious aim of looking at class in Britain. But through their art they have created works of beauty that demonstrate the complexity and changing nature of working class life. I think that’s where the young people are having a problem, in that there doesn’t seem to be anybody current that’s able to understand the issues that we have at the moment. It’s a different kind of struggle now. These words come at the close of the track A Different Kind of Struggle on Darkstar’s new album Foam Island. The album is part musical and part social commentary. It is a brutal yet life affirming portrait of a nation ravaged by austerity and numbed by deindustrialisation. Subtle electro-pop landscapes are interspersed with a series of snippets of interviews conducted with the people from Huddersfield shortly before last May’s general election. One of the most poignant moments on the album is the track Cuts, which is a press release from the Kirklees Council website read aloud. The scale of the cuts is chilling and highlights how the political class are wrecking people and their communities. 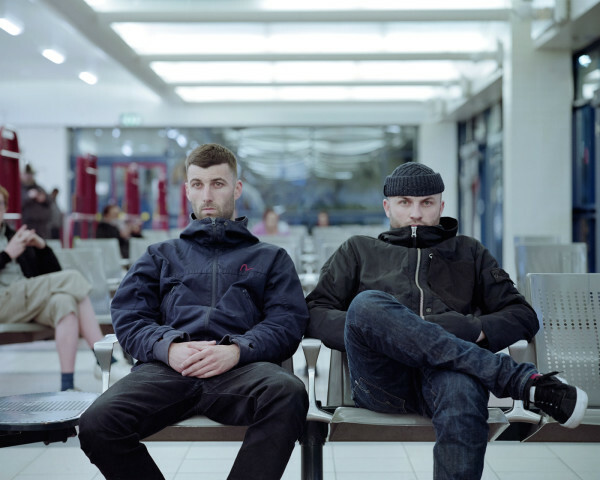 This is Darkstar’s third album. They released a number of singles from 2007, culminating in 2009 with the release of Aidy’s Girl is a Computer on Hyperdub. They were a product of dubstep’s most experimental years and developed a unique sound that drew sonically from dubstep, electro and synth-pop. Their first album, North, broke from dubstep and was centred more on electronic pop and ambient experimentation. Their second, 2013’s News From Nowhere, was – if you can imagine it – a psychedelic Beatles sound combined with electronica. Foam Island builds on all this and much more. It is a masterpiece – sadly one that I fear too few people will hear. Hollow Meadows is Richard Hawley’s eighth album – each one is named after a Sheffield locale. Hollow Meadows refers to a building on the city’s border with the Peak District that served as a sanctuary for shell-shocked soldiers from World War One and, as recently as the 1960s, a hospice for psychiatric patients. Musically Hollow Meadows is different to its 2012 predecessor Standing At the Sky’s Edge. Gone are the psychedelic riffs and heavy guitar. In their place are haunting melodies and beautifully crafted lyrics. It is a masterpiece in crooning. Most of the songs are personal accounts of love and life. It’s a positive record whose edges are tinged by the hardships of life, the decline of blue-collar work and the loss of community. The song What Love Means is a heart-aching lyric about Hawley’s daughter moving out of the family home and the track The World Looks Down is simply about alienation and how new technology takes us away from our true selves. This is by no means a bleak and introspective album though. The tracks Which Way and Welcome the Sun are about the struggle to be human and the search for individual freedom. I once met Richard Hawley after a gig. When I told him I was a socialist he said, “Good, because I’m old, old, old Labour.” This affinity with the left is on display in the song Heart of Oak it sums up the indefatigability and courage we see when workers fight back. This is an album searching for love, friendship and hope – and Richard finds it in the most usual of settings. If you watch the video of the song I Still Want You, you’ll know what I mean. The tragic events in Paris have once again shone the light on the poverty-stricken housing projects outside Paris, commonly referred to as les banlieues. The banlieues are portrayed by the media as hotbeds of Islamic extremism and crime. But the truth is somewhat different. Like all working class districts, the vast majority of people there work and party hard. One of the results is that Paris and its environs have become a cauldron of musical styles and influences. If you want to get a flavour of the musical diversity and originality that can be found in Paris, Acid Arab are as good a place to start as any. Guido Minisky and Hervé Carvalho are the electronic/DJ duo that makes up Acid Arab. Their goal is to mix all kind of Eastern music (North African, Turkish, Middle Eastern and Indian) with acid house and techno. All three tracks on this stunning 12” have a 4beat over which melodic sounds are added. The stand out track is Hafla – I am reliably informed that it is Arabic for party. Check out the video: the first half is sexist drivel, but the second half showing an Arab guy dancing on a car as it drives down the road is sheer class. If you like this recording and want to delve more into Acid Arab’s music check out their album Collections. Lastly if you are a DJ, musician or someone who loves music please send us your five favourite tracks/albums of the year along with a sentence or two about them. We will publish on Boxing Day (26 December 2015). Send them via the contact us at the top of the Dream Deferred website.